The British Franchise Association (bfa) is the voluntary self-regulatory body for the UK franchise sector. Franchise businesses must pass a standards-based accreditation before they can become a bfa member. The Association promotes ethical franchising practice in the UK and helps the industry develop credibility, influence and favourable circumstance for growth. One of the bfa's main jobs is to help potential franchisees recognise the good, the bad, and the ugly franchise opportunities". The Franchising Centre is the team that will help you gain the best financial return from franchising and avoid making expensive mistakes. Whatever your requirements, when it comes to franchising, they will make it quick, easy and efficient. The Ashtons Franchise Consulting (AFC) team is the UK’s most experienced group of franchise consultants. They combine best practice with best value in successful franchise development of national and international franchise networks. AFC has assisted hundreds of companies with various aspects of their franchise development objectives. 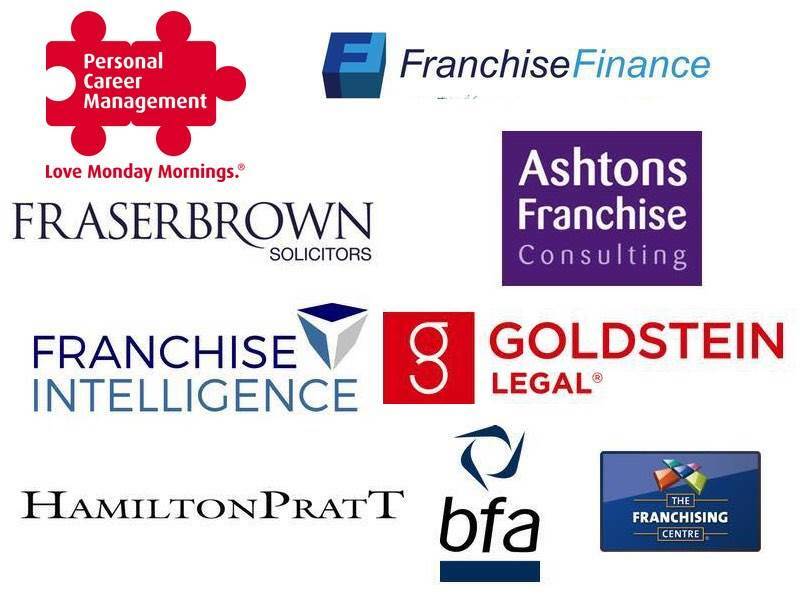 Franchise Intelligence specialises in helping businesses fully maximise the benefits of franchising. Their team is geared to helping businesses apply sound, effective strategies for franchising their business. Franchise Intelligence comprises of a team of experts with proven track records in developing and running franchised businesses. Fraser Brown Solicitors provide excellent legal services to franchisors and franchisees both across the UK and internationally. Goldstein Legal is a niche law firm, specialising in all areas of franchise law, acting for both franchisees and franchisors. Hamilton Pratt is a specialist franchise law firm providing leading edge legal advice to the franchise sector. Franchise Finance has developed an exceptional reputation as the Franchise industries leading independent finance professionals. They are active members of the British Franchise Association, authorised and regulated by the Financial Conduct Authority and members of the National Association of Commercial Finance Brokers. Their Business Training Academy provides a wide range of training courses and workshops for both Franchisees and Franchisors. Personal Career Management are the UK’s leading provider of outplacement services, career coaching programmes and executive coaching for individual and corporate clients. They specialise in career management and work with clients from a wide range of professional, management and senior executive backgrounds. Working on a one-to-one basis with one of their career coaching team, you will benefit from specialist help in all aspects of the career management and job search process.